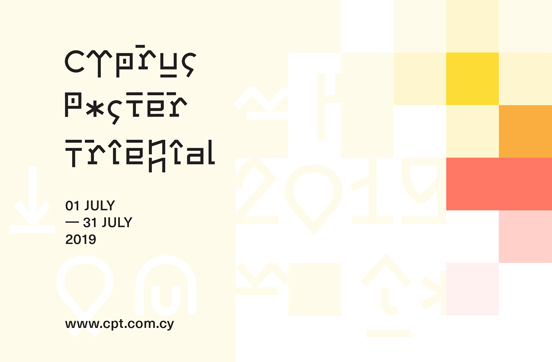 The international Cyprus Poster Triennial (CPT) is to be a nonprofit institution that aims to promote and disseminate knowledge and creativity in the field of graphic design by focusing on the poster as a major medium of visual communication. The aspiration of the Cyprus Poster Triennial (CPT) is to establish a graphic design event in the Mediterranean at a place that, on the one hand, can function as a bridge between East and West, and on the other, can bring together designers from all over the world with a variety of perspectives to meet and celebrate the wondrous power of the graphic poster. We welcome poster submissions from any part of the world, as long as they do not include offensive material in respect of any ethnicity, gender, sexual orientation or physical condition. Participation in the Triennial is open to all talent, emerging or established, and does not require any submission fees, as the entire venture will depend exclusively on voluntary work and sponsorship. Evripides Zantides, Omiros Panayides and Savvas Xinaris, visionaries and founders of the Cyprus Poster Triennial. Borders are agreed limitations between two or more parties, as exemplified in the geographical borders drawn as administrative boundaries between nation states. Borders can also be social and cultural, visible or invisible, real or imagined, tangible or virtual, natural or man-made. They are double faced, looking both in and out, separating and uniting as they can function both as a dividing line and as a meeting point, as an end and a beginning. We mostly structure our self-identity through borders that operate as contours of our individual/ private sphere and as interfaces with the collective/ public sphere. Borders can be respected or violated, maintained or transgressed, evolving in the constant flow of natural events and human relations. Under this category we welcome posters negotiating the aforementioned thoughts. Multilingual Posters develop typographic communication systems so as to accommodate text in more than one language. Such a challenging task needs not only to satisfy aesthetic and hierarchical criteria of Typography, but also to balance the information throughout the design space. Under this category, we welcome Posters that make use of more than one alphabetic system, but using at least one language from among the six official Languages* of the United Nations (UN) or one of the three procedural Languages** of the European Union (EU). Nations and places are often treated as brand products and have been central to many theoretical and practical visual communication studies. Aiming to boost the national economy, nation or destination branding posters intensify the image of the nation and target domestic or international audiences. Nation/place branding posters reflect the self-perception of a culture as it conveys what features it deems appealing to others within current global and local contexts, and are valuable artefacts of communication design content. This category welcomes posters that have nations and places central to their promotional messages. For the purpose of this thematic we understand Spectacle as an Act. A theatric, music, artistic or any other performance is seen as a culturally driven act. In Guy Debord’s The Society of the Spectacle, “The Spectacle is not a collection of images, but a social relation among people, mediated by images”. Under this category we welcome posters negotiating cultural action or activities as spectacle. Visualising language is for graphic designers a serious task. Anyone who deals with Writing will quickly ascertain that the need to show is equally essential with the need to tell. Designers often “tell” stories that leave viewers with very little to think about. On the other hand, messages open to interpretation are for poster designers a fascinating and provocative endeavor. Under this category, we welcome Posters that explore the communication of messages without the typographic use of a spoken language. Linguistic varieties that may differ in terms of grammar, vocabulary and phonology, are distinct entities delineated by geographical and social borders, thus defined or implied by the autonomy or heteronomy of different dialects. When dialects are being graphematically represented, with or without coded standard forms, visual graphetics promote exploration, inspiration, innovation and originality for the recognition of distinct features, character shapes and composition. Under this category, we welcome Posters that explore Cypriot dialects in terms of design and visual rendering.